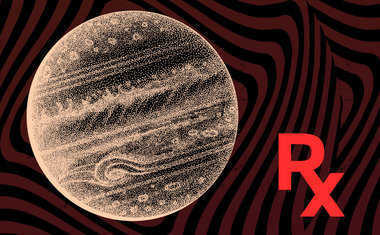 Jupiter, the largest of all the planets, is known for its ability to widen our perspectives. He is the great teacher, helping us to grow in ways that magnify the awareness and good fortune in our lives. He helps us move beyond our limits to realize the amount of opportunity that is available to us. 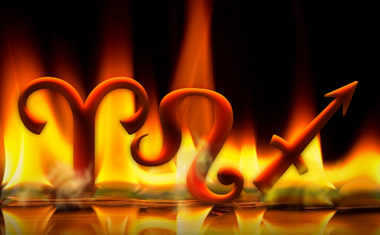 When Jupiter moves through the independent and pioneering sign of Aries, we are re-energized on a very personal level. We are focused on ourselves as individuals and are eager to satisfy our need for happiness -- in whatever way that means to each of us personally. 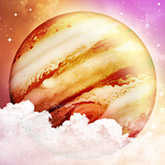 When you are willing to listen and to learn, Jupiter in Aries can teach you more about yourself than you could imagine! Want to know if YOUR Jupiter is in Aries? Find out with a FREE Essential Birth Report sample now. Our minds are on fire during Jupiter in Aries, ignited with innovative ideas and lightning bolts of intuition. This is an opportunity to let go of the limits of our past and come up with new solutions for the future. Aries is the first sign of the zodiac and is always willing to step fearlessly into uncharted territory. During this transit, we can see possibilities to better ourselves that we simply couldn’t see before. 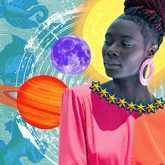 With Jupiter in Aries, it’s not about taking our time to slowly map out a strategized plan, it’s about feeling the spark of inspiration and running with it. The more time we take, the more restrictions and problems we realize, which will hold us back. We are encouraged to shoot from the hip, knowing that every experience is a learning experience that helps us grow. 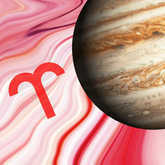 While Jupiter often encourages us to learn from others, Jupiter in Aries is more about self-teaching and self-learning. We mustn’t be afraid to take risks and try things, whether we feel prepared or not. Trying and succeeding and trying and failing are both valuable ways of learning and growing. In fact, it may even be harder to maintain attention in a traditional "teacher-and-student" educational setting during this transit, because we need to learn things our own way. There can, however, be a danger in becoming so focused on ourselves and our own viewpoints. Opinions run hot during Jupiter in Aries, and we’re impatient for action, which can fan the flames of confrontation both politically and socially. 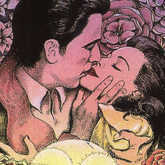 When we reject the importance of two-way dialogue, we close ourselves off to learning -- and that is a Jupiter no-no! Even though there’s extra emphasis on our personal mindsets during this transit, we stifle ourselves if we think too narrowly. Remember, this is a time to expand, not to contract. When Jupiter is moving forward through the cosmos he brings situations to us that encourage growth and opportunity. When this massive planet moves backward, though, these outside situations slow down and the energy turns inward. During Jupiter Retrograde in Aries, we are being forced to grow internally. It’s a time to ask questions that will help us identify who we are at this point in our lives, and if we’re truly satisfied with our sense of self. Am I standing in the way of my own happiness? Am I the source of my problems? Do I have what it takes to achieve the things I desire? The truths we realize may be hard to swallow, but this is still a time of learning. When we can admit our shortcomings, we have the power to address them, overcome them, and get on the right track to satisfaction. Thanks to your Jupiter in Aries, you are both self-focused and self-sufficient. You have a level of confidence that others can only dream of, and realize that you have the power to do great things with your life. You are eager to experience new things and to soak up as much knowledge and adventure as you can. You learn best by not by studying or listening, but by jumping in and doing. The possibilities of the world are exciting to you -- you realize that every experience helps to expand your opportunities and improve your future. You don’t exactly know the meaning of the words "wait and see." You are a dreamer and a doer, and the minute you are inspired by a new idea, you’re ready to run with it. This can lead you to great breakthroughs, but it could also lead you down a few treacherous paths. Your gung-ho nature serves you well and is admired by others, but it’s also wise to temper your enthusiasm with a bit of skepticism every once in a while. Still, if you do reach a dead-end or an unexpected challenge, you aren’t easily deterred. Every challenge is an opportunity for you to learn, and the more knowledge you acquire, the more doors you open for yourself. You are not held back by shyness, doubt, or fear, but your unwavering attention to yourself could hold you back in your relationships and interactions with others. Confidence is a very good thing, but an inflated ego will cut you short. Even though you know you have so much to offer, a little humility and attention to others will go a long way in enriching your life with loved ones who value you as much as you value yourself. Discover the luckiest times in your life and reveal Jupiter’s influence over your life and opportunities.